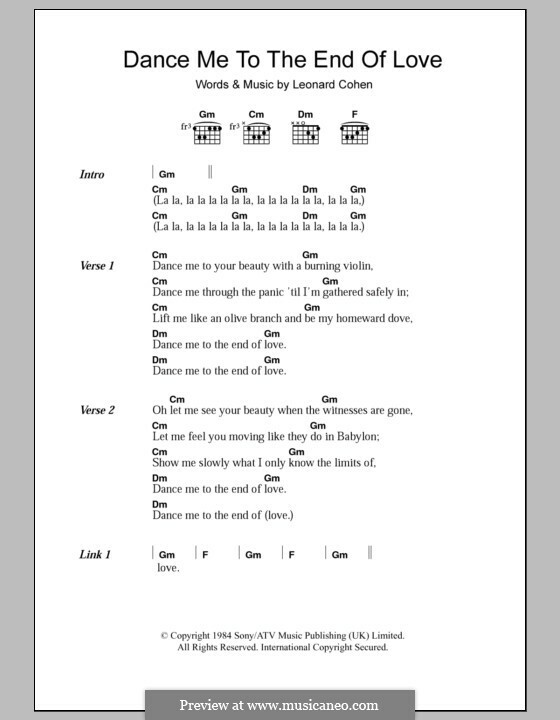 I still haven't discovered an artist whose music would speak of love better than Leonard Cohen's songs. 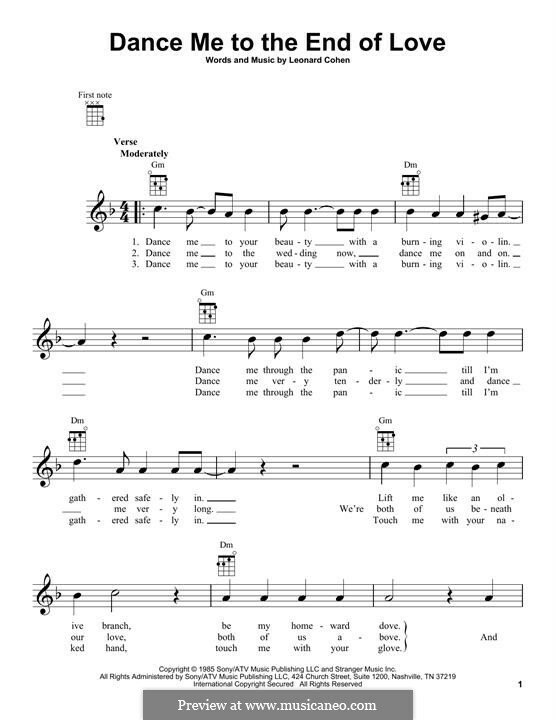 I believe it's true talent given by God - the ability to speak your heart off as no one else can, with music! 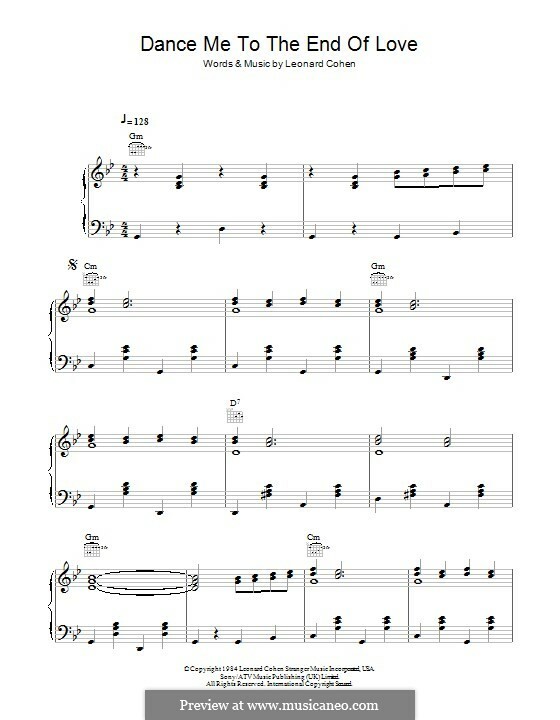 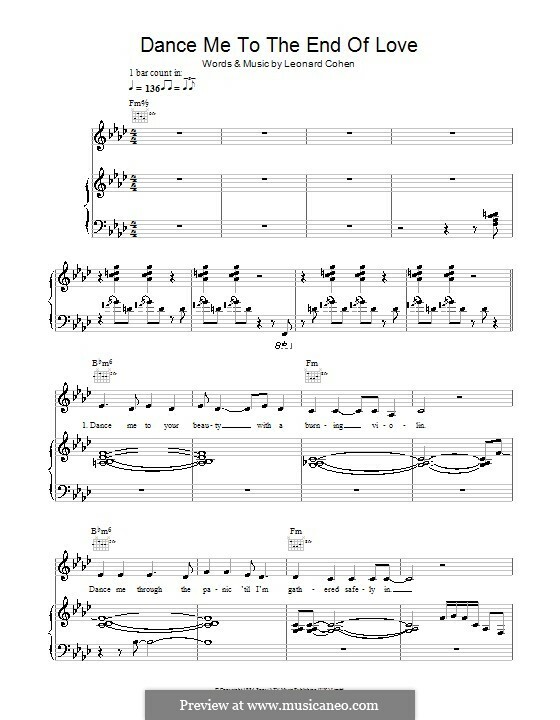 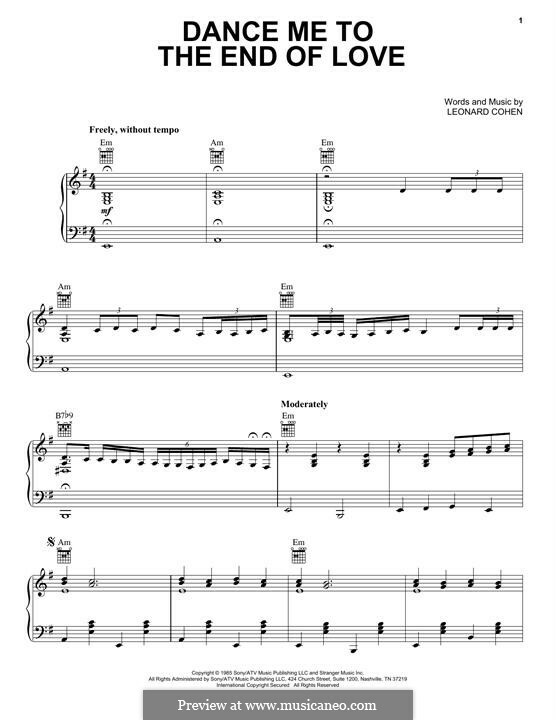 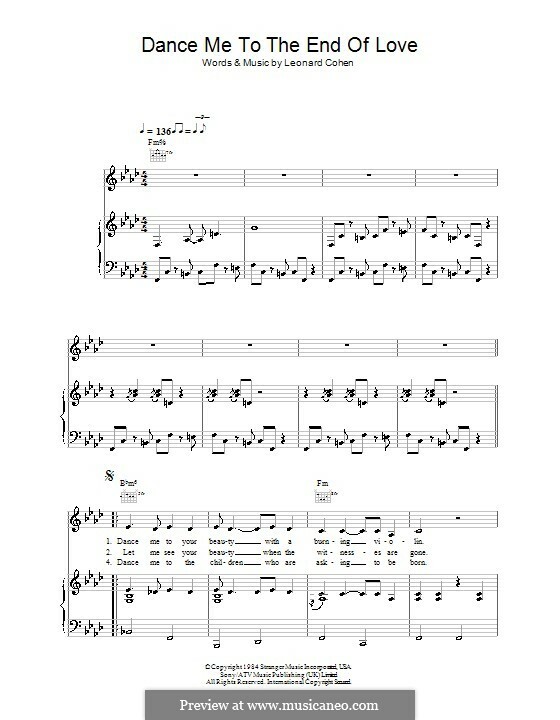 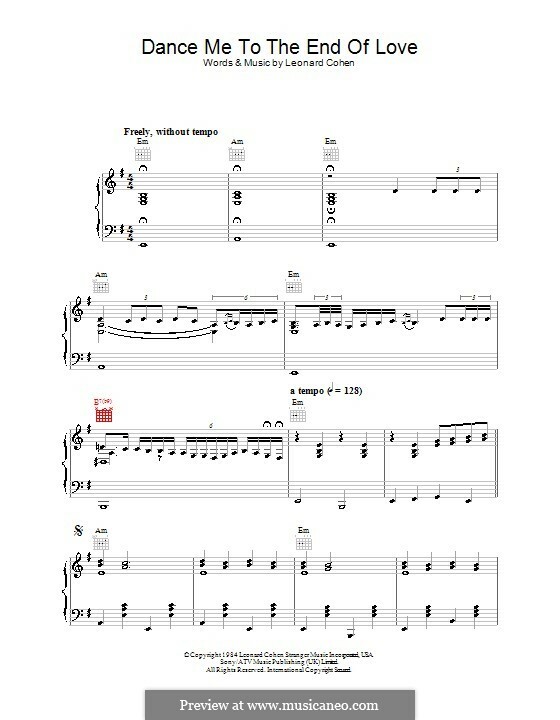 A special thank-you for Dance Me to the End of Love, to Mr. Cohen for the song, and to MusicaNeo - for this sheet music version. 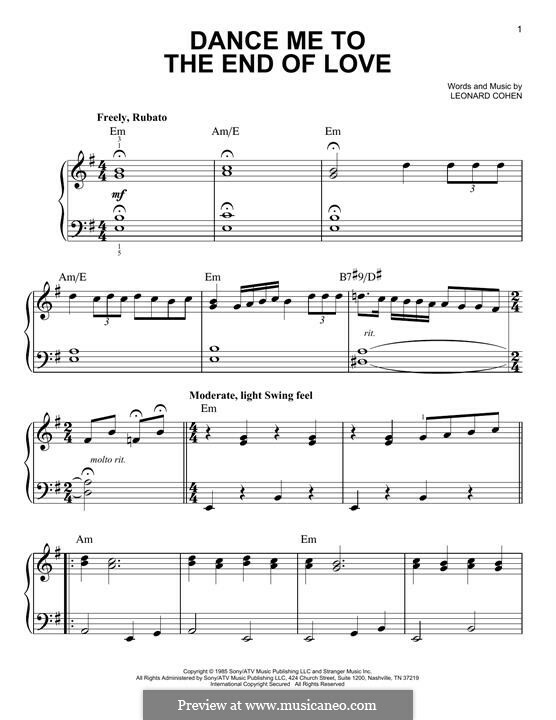 The kind of pleasantly haunting melody that will stay in my soul for good now, it seems.